Ken Done has enjoyed and endured international commercial success as a designer for several decades. His vivid images of Australian landmarks, simply drawn and brightly coloured, have adorned almost every mass produced object imaginable. However, ‘Hot Wednesday’, is an opportunity for one to take Done’s work as an abstractionist seriously. Childlike gestures are dotted sparsely over the flat plane of the canvas, offering moments of colour against radiating yellow sand. In this work, Done offers no relief from the high summer, nor a recognisable landmark upon which to rest our eyes. 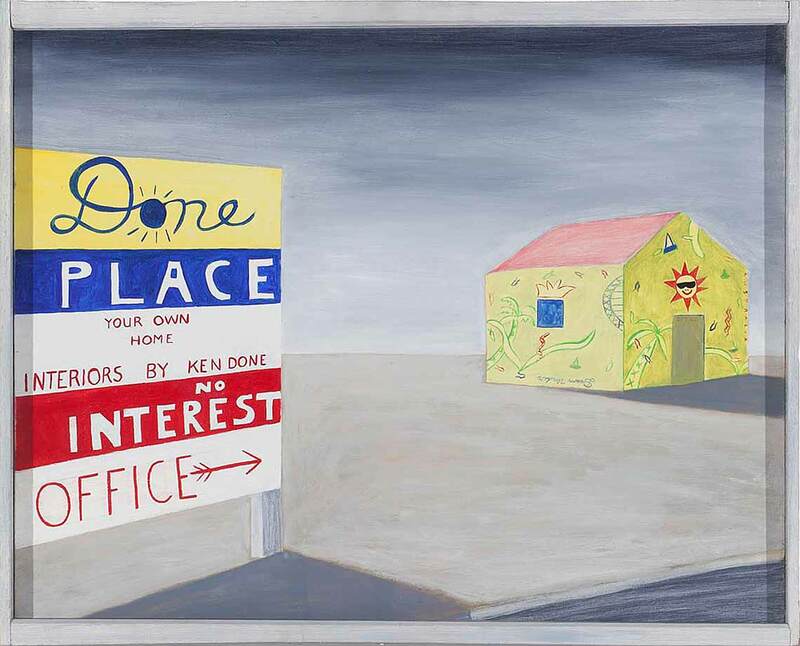 Hot Wednesday is Done as artist, as painter, capturing a familiar moment in Australian life with no apologies.